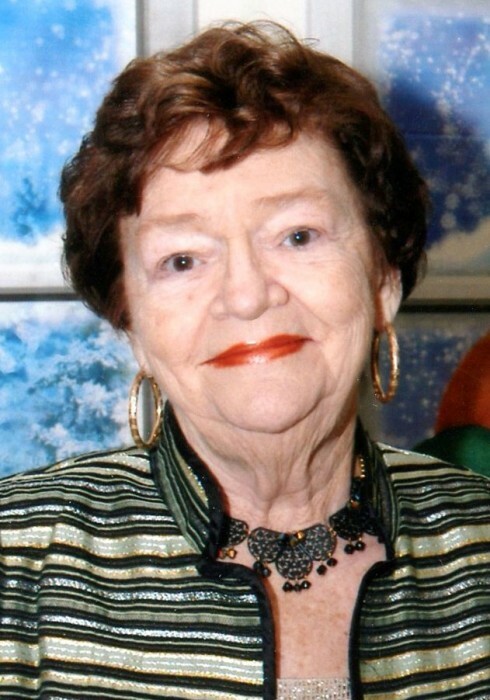 Patricia Geraldine “Patsy” Roling of Sherwood, Arkansas passed away January 27, 2019. She was born June 27, 1932 in Camden, Arkansas to Maybelle Burnham Higginbottom and Gerald Patterson. She is predeceased by her parents and husband, LeRoy G. Roling and son, LeRoy G. Roling Jr. Surviving her are cousins Teresa Harris and Marti Neeley of Camden, Arkansas, Bob Burnham of Linden, Texas, Billy Gentry of San Diego, California, and Louise Wilson of Ft. Worth, Texas and a number of extended family and friends. She was a graduate of Camden High School and a member of Christ Church in Little Rock, Arkansas. Patsy was retired from a long career with the Arkansas State Highway Department where she was a Supervisor in the Printing Department. Patsy and her husband and son retired to Lake Hamilton where they enjoyed fishing and spending time with friends and neighbors. Following LeRoy’s death, Patsy and son Roy moved to Sherwood. Patsy enjoyed life to the fullest and loved the Arkansas Razorbacks, her dog Lady, music and especially dancing. A special thanks goes to her dedicated caregivers, Theresa Carmichael and La’Chasity Marshall. A kind, caring and generous woman has gone to her eternal rest.